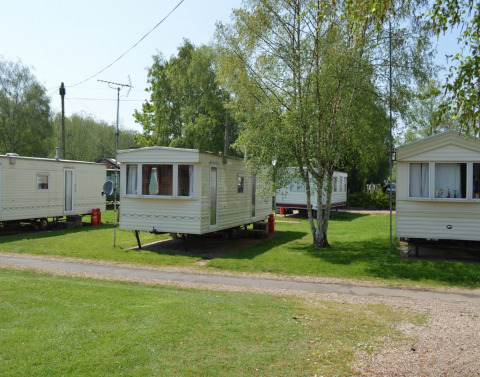 Our ground floor properties are self-contained and semi-furnished comprising of a fitted kitchen with a cooker and fridge, lounge area with seating, bedroom/s with fitted wardrobes and a shower room. All prospective tenants must be in full time, permanent employment and over the age of 21. Children and pets are not permitted on the park. Moor Farm Park provides a private and safe place to live, offering onsite parking with barriers at both the entrance and exit as well as CCTV coverage. Please note, tenants are responsible for their own electric, gas and council tax. The council tax band is provided for guidance only, we advise you to check with the local authority to confirm. Killarney Homes do not accept any liability for any omission or errors. A non-refundable fee of £50.00 shall be charged for an application for a property. We require a reference from your employer confirming that you are in full time, permanent employment. This must be provided on company letterheaded paper and authorised by a senior member of staff. A character reference must also be provided by someone who is able to give an impartial opinion of your character. This could be a colleague, doctor or previous landlord, but not a member of your family. Documents to prove your identity: Passport, Birth Certificate, Drivers Licence, National Insurance Number and Utility Bill (within last 3 months). We are open for viewings from 09:30 to 16.30, Monday to Friday (the office is closed between 12:30 and 13:00). We have both 1 and 2 bedroom properties available, contact a member of our team now for further information and to arrange a viewing. Call 0115 9652426 and speak to a member of our sales team or fill in our form below and we'll get back to you.